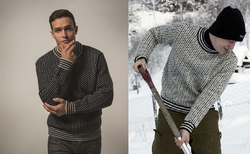 Men's Norwegian Sweaters and Cardigans made from 100% Authentic Norwegian Wool. Ready for Life's Adventures and coolness whatever the occasion may be. 100% Pure New Wool Pullover with 1/4 Top Zip & polar bear motif, leather trims. 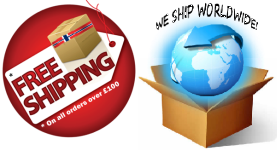 Stylish and casual modern classic for men and women. Leather (faux suede) trimmed, fleece lined zip collar. Character runs deep with a striking balance of structural and colour patterns. A band of traditional Norwegian eight-petal roses encircle the chest, with adjacent sleeve portions elegantly showcasing majestic polar bears. Lower portions in classic cable knit with ribbed finish. A casual 100% Pure New Wool chunky wool crew neck sweater. 3-color design, holds heat and repels water naturally. Ideal for any outdoor pursuit or casual evening out. Rib-knit finish at neck, cuffs, and hem. Many years of comfortable wear. A very popular pullover that sold out so quickly the last time it was produced. 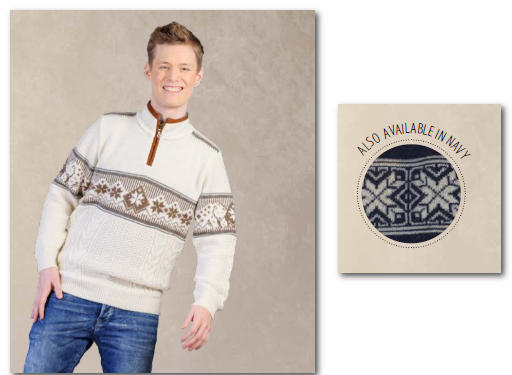 Sporty Norwegian Sweater for Men with a very distinctive high collar and saddle shoulder design. 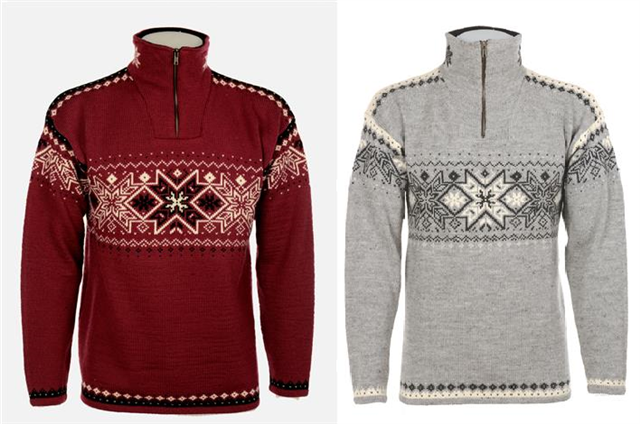 Constructed of Norwegian 100% pure new wool for warmth, comfort and durability. High neck with finely woven design elements, soft fleece lining, heavy duty zipper and a draw string at base for added warmth. Classic Norwegian patterns encircle the chest and drop shoulders for an elegant and sporty flair! Matching trims on hem and cuffs. For men and women in grey with white and black designs. Men's Sizes. Unisex Sizes available. New and improved Fisherman's Sweater with heavier design! Knitted in a hard wearing quality. This 100% pure wool stands out with a ribbed border design and is a perfect addition to any wardrobe. Ideal for any outdoor pursuit or casual lounging around with ribbed neck, hem and cuffs. 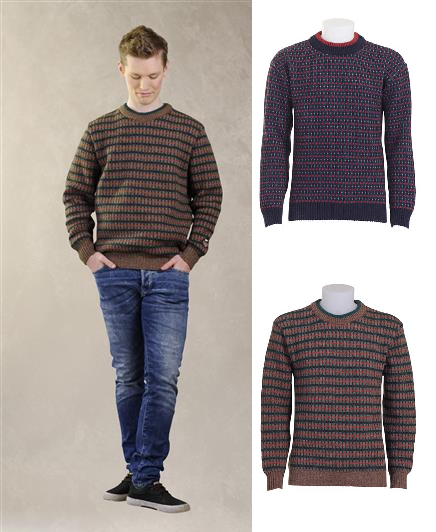 With a classic round neck and cleverly stylish rib design, this is a sweater sure to bring admiration and style. 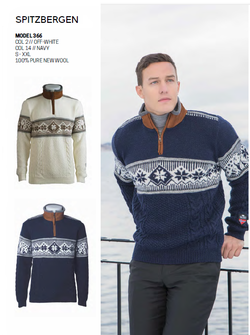 Perfect for seafarers, oil rig workers or outdoor lovers, this sweater offers all the warmth and comfort you may need, in typical Norwegian style appropriate to any outdoor activity and weather.